GAFFTASTIC is a collection of mind frying, easy card magic using special Gaff cards. All of the required gaff cards come free with the DVD. That's 13 cool gaffs printed by the USPCC! Presented by Liam Montier (the magical equivalent of popping candy), GAFFTASTIC is a seriously exciting proposition, crammed to the gills with reputation making routines! The Chosen - Eliminate cards from a small packet until they match a selection, before eliminating the rest of the packet for good! Mass Hippy-Nosis - Hypnotise a spectator into seeing their selection in three places at once. Or has their mind just gone blank? Laser This - Splitting cards has never been so quick and easy, as a laser slices a card right through. Fear not - we can fuse it back together in a jiffy! Four Eyes - Demonstrate that you own special glasses that allow you to read marks on cards. Well, you don't really, but they don't know that. Off Colour - A cheeky demonstration of how hard it is to find a selected card, even when it looks easy! Twisted - Show how cards can be squeezed together and pulled apart at will. Watch it - it can break the cards! Punched - A lucky card, kept on your keyring, changes places with a spectators lucky card just because you liked their one better. Beauty Spot - A small circle, clearly drawn on with a marker pen, visibly and visually becomes real in this piece of eye-candy! Flink - Show how bad printing can be on the faces of some cards by rubbing it clean off. And you should see what it does to the BACKS! Blush - A clever 'wild' card routine based on several Stephen Tucker ideas, this is a cool effect with an examinable ending. PLUS WICKED WORLD BONUS TRICKS! These two non-card effects were originally recorded for 'The Wicked World of Liam Montier' but - they simply didn't fit on! Our loss is your gain! Air-Zooka - Use a mini Air-Zooka to force air BACK into some packing bubbles, with this crazy off-beat effect and classic (and easy!) handling. Upside Frown - Visibly 'Turn that frown upside down!' on a stickman drawn on your business card, making an ideal handout. But it doesn't end there. Included FREE on the DVD is a PDF of Liam's smash hit 'Cherry Cola Queen' booklet. 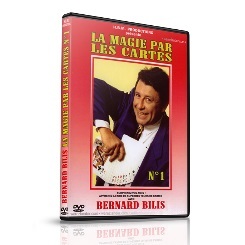 (Simply pop the DVD into your PC, right click on the DVD-Drive and click 'EXPLORE'). Cherry Cola Queen features 17 routines over 48 pages, and originally retailed for £10/$20!! GAFFTASTIC - TWENTY NINE slabs of magic loveliness, THIRTEEN gaff cards and a whole heap of smiles!